I never noticed before how many – or how few – colours there are in our home. Evidently we are not all that adventurous with our decorating style. what a great picture of Shiva…. We are working on a new trick….”the penguin” (where the dog takes steps forward in the beg position), don’t think we’ll ever get it, but I bet Shiva could do it! She already has the standing still penguin look down pat. Love Shiva’s trick. Very cute! Nothing wrong with sticking with simple colors, never have to worry about matching stuff. Best photo yet – good dog, Shiva! Fabby photo. Definitely one to print off and have in a frame. Shiva is so darn cute! Our house is the exact opposite – waaaaaaay too much colour. It’s like a seizure waiting to happen in here. My other half’s stuff was all in comic book colours and mine in vintage range, turquoise apple green…so far, in five years neither of us has budged an inch on the decor, so our living room looks like two designers got into a fight. It’s tragic. Great picture. Nice expression on Shiva. Oh Shiva, you are TOO CUTE!! I decided after doing a bit of painting that I’m just going to paint the walls white – that way I don’t have to worry about ‘cutting in’ the ceiling cornices! that is how lazy I am! Canine chic? Sure, I’ll go with that! We have plenty of that here at our house! Hi, that’s a pretty good pose. We’re not very adventurous as far as colors are concerned either. After all, my mom and dad got 4 black dogs. 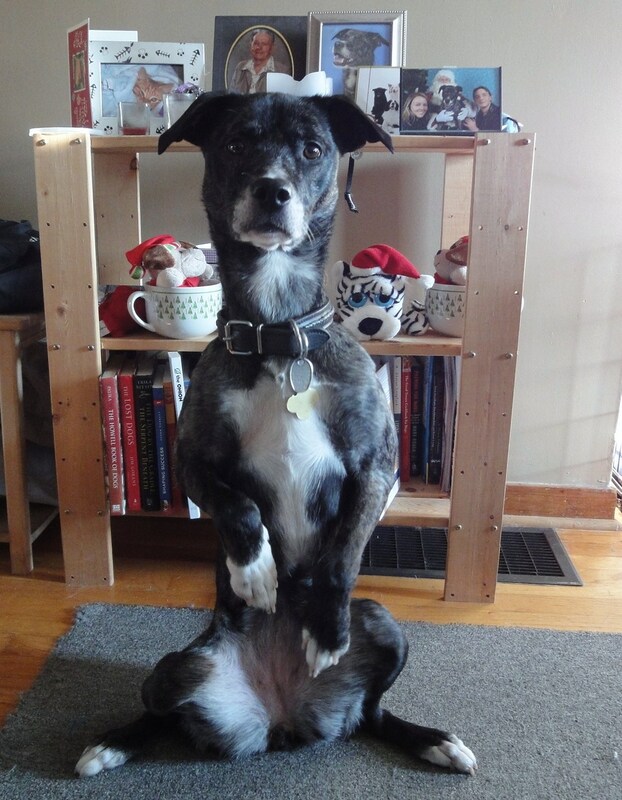 I can’t get over the fact that you’re able to get your dog to sit like that, period! I love Shiva’s pose here – she’s so adorable.